The fight is on for Stand-Your-Ground law. As you know, Minnesota Gun Rights along with our members and supporters, have been fighting hard to pass REAL pro-gun bills in Minnesota. From our founding in 2013, restoring Constitutional Carry and Stand-Your-Ground law for gun owners have been our two primary policy objectives. And sometimes we find ourselves heavily on defense as we were in 2013-2016 as Senator Ron Latz tried to hammer away at your gun rights, forcing us to be on the defensive instead of pushing pro-gun bills. Thanks to the support and activism of our thousands of members like you from across the state, that goal has been extremely successful. That was proven in the 2014 elections when gun-grabbers like Bloomberg-endorsed Will Morgan, Joe Radinovich and Tim Faust went down in flames to voters after MGR did aggressive educational campaigns in their districts to mobilize gun owners. And just in 2016, Senators Rod Skoe and Lyle Koenen felt the fury of gun owners and were booted from office for voting AGAINST Constitutional Carry on April 23, 2015. Now, with “pro-gun majorities” that gun owners delivered in both the House and the Senate, your voices have been THUNDERING for major overhauls for your gun rights. And as you know, House leadership has been doing everything they can to stop HF309, Representative Cal Bahr’s Constitutional Carry bill. Sources are telling us that they’re now in a panic to pass a gun bill to get out from under the tidal-wave of pressure that you and I have created. That’s because they know very well that our members and supporters will not take NO for an answer! Desperate to save face and future votes from gun owners, House leadership knows they have to bring forward a “consolation prize” for gun owners. That consolation prize is a watered-down Stand-Your-Ground bill. It’s no secret that since our founding, Minnesota Gun Rights has been working to get Stand-Your-Ground law passed in Minnesota. But for those who don’t know, a REAL Stand-Your-Ground law would do three things. 1. Stand-Your-Ground would remove the “duty to retreat” requirement in Minnesota code. No longer would law-abiding citizens be forced to flee from a violent attacker before using the force necessary to defend themselves or their families. 2. Stand-Your-Ground would provide criminal prosecution immunity in the event of a self-defense shooting. This means that unless there is probable cause, a law abiding gun owner would not be easily prosecuted by an anti-gun prosecutor looking to make a name for themselves in a politically motivated trial. 3. Stand-Your-Ground law would provide immunities against frivolous civil lawsuits as well. This simply means that if a violent criminal attacks you as you walk out of a grocery store some evening and you’re forced to use your firearm to defend yourself, that criminal or their family will NOT be able to sue you for all you’re worth in civil court. Those are the three legs to the tripod that is historically Stand-Your-Ground law and this would be a great law for Minnesota! But here is where the compromise sets in. You see, this version of Stand-Your-Ground does NOT include civil immunity protections for gun owners who are forced to use a firearm in a self-defense shooting. Make no mistake about it, a true Stand-Your-Ground would be a HUGE step in the right direction. That’s why I’m asking you to call your state legislator right now and demand that they FIX Stand-Your-Ground law by putting civil immunity back into HF238! Missouri passed a clean Stand-Your-Ground law late last year. Just this week, Iowa passed a clean Stand-Your-Ground law as well. 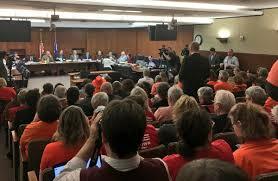 Gun owners deserve a REAL Stand-Your-Ground bill here in Minnesota and we can’t push a bill that appears to be Stand-Your-Ground but still leaves gun owners exposed to civil lawsuits. Fox News is reporting that the House may take this bill up for debate very soon, so we need to make sure this Stand-Your-Ground bill is rock solid before they do! So call your state representative right away and tell them to FIX Stand-Your-Ground law by putting civil immunities back into HF238. It’s a constant fight to see our gun rights protected and advanced in Minnesota and for sticking with us, we can’t thank you enough. We’ll have more action items at the beginning of next week when the legislature returns but until then, make those calls right away! P.S. Please read the email above and take immediate action! We can’t let House Leadership get away with stopping up HF309 (Constitutional Carry) and watering down Stand-Your-Ground law. So please read the email above and take immediate action! If you’ve not renewed for 2017 or aren’t already a member of Minnesota Gun Rights, please click HERE to join now.